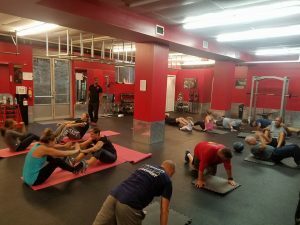 Philly Fire’s Motivated Fitness is dedicated to Local 22 and the Philadelphia Fire Department member’s health and well-being. The program includes a group of certified motivated personal fitness trainers, all of whom are firefighters and paramedics, whose main objective is to bring a healthy lifestyle to our membership. This is accomplished through personal one on one, small group fitness programs, and nutrition education. 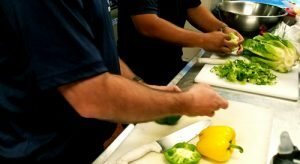 The goal of the trainers is to provide our members with not only strength and physical conditioning but also the nutritional knowledge to lead a healthier well balanced life. Good nutrition is part of a healthy lifestyle. Food is our body’s energy, our fuel. Good fuel or bad fuel, what you decide to put into your body is entirely up to you. It is a choice. Your Choice. Remembering, that the type of fuel you decide to put into your body will determine its outcome. 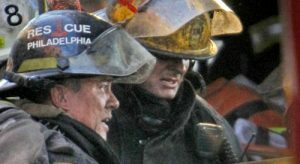 Philly Fire's Motivated Fitness is dedicated to Local 22 and the Philadelphia Fire Department's health and well-being. The program includes a group of certified motivated personal fitness trainers, all of whom are firefighters and paramedics, whose main objective is to bring a health lifestyle to our membership. Local 22 is in the process of building a strong Crisis Management Team to include trained IAFF Peer Support Counselors, Chaplin Services, Behavioral Health Specialist, along with a list of resources gathered to provide our membership with the best Behavioral Health Assets available. For assistance in ANY area concerning our health plan, to include Behavioral Health. Congratulations to Michael Cardona! Mike has been selected as our Philly Fire’s Motivated Fitness Trainer of the Quarter. Join us at our Manyunk location, Fire for Effect Athletics (123 Leverington Ave). for a special Boot Camp, Thursday – January 10th @ 0815 AM. Show Mike your appreciation and experience his MOTIVATION!